FRISCO, Texas — Gathering feedback from drivers is an important part of keeping them, according to Jane Jazrawy, co-founder and CEO of CarriersEdge. CarriersEdge, which specializes online driver training, has been serving Canada’s trucking industry since 2006. It came to the United States about three years ago. 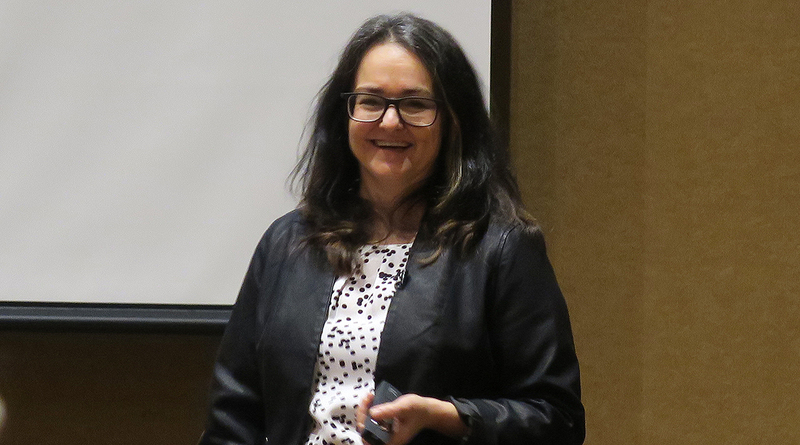 Jazrawy spoke on retention and recruitment methods at the Women In Trucking Association’s annual meeting here Nov. 14. DRIVER SHORTAGE: "Facing a cliff of unbelievable proportions," says expert. She encouraged fleets to solicit driver feedback through a variety of methods, such as surveys, check-ins, riding along with truckers, town hall meetings and roundtables (both in-person and online). She said drivers, especially females, like using Facebook as a way to bond. Jazrawy also identified certain approaches that can attract women to trucking companies. One is establishing a cause, such as a program or charity, which involves women. Another recommendation is spouse training. She said that many women enter the workforce because their husband is a truck driver and trains them. She also recommended including more images of women in promotional materials. Beyond that, she urged companies to put their own female employees in photos, rather than using stock images. Jazrawy divined many of these practices from the list of best carriers to work for, which CarriersEdge created with the Truckload Carriers Association. The criteria: a company needed to be based in the U.S. or Canada, have at least 10 trucks and operate on a for-hire basis. Fewer than five out of 20 of CarriersEdge’s best-ranked fleets have 20% or more women drivers. Some 41% of their finalists (about 65 fleets) do nothing to specifically attract women.